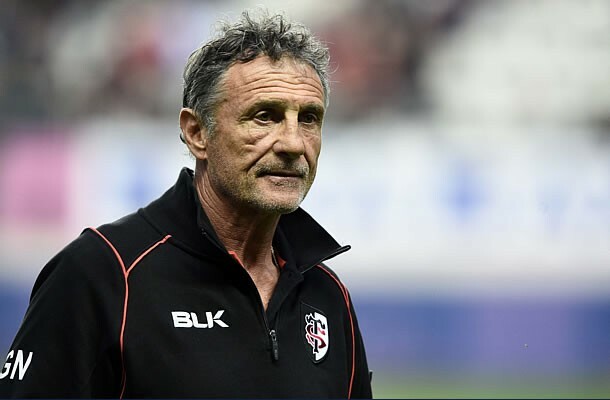 The French Rugby federation have confirmed that Toulouse legend Guy Noves will succeed Philippe Saint-Andre as France coach after the 2015 Rugby World Cup. Sixty-one-year-old Noves turned the position down after the 2011 World Cup but has decided that his time has now come to lead France. Noves has led Toulouse to 10 Top14 Rugby titles and four European Cups in his time with the club. He will replace Philippe Saint-Andre, who has served just one term, on November 1, the day after the World Cup finishes. “It is a little bit funny because on the one hand there is a World Cup to prepare for and one is obliged to support the team and the coaching staff,” said Noves. “On the other hand I reflect on the fact that for the second time in my life luck has smiled on me because they have accepted to appoint me after I turned it down four years ago. Noves admitted that leaving Toulouse would be an enormous wrench for him. “I have spent 40 years at Toulouse therefore it is not just a moment in my life, it is my life and have been the most beautiful years of my life,” said Noves. “This club will forever be in my heart. Now, I leave Toulouse for a project which could not be more delightful: that of defending the interests of French rugby along with a new team, because one cannot do that on one’s own. “I can’t even say that it is a challenge, it is stronger than that, it is a responsibility. Pierre Camou, president of the federation, said they had secured the services of a man with an unrivalled record. “With Guy Noves, the FFR (Federation) and the France team can count on the passion but also the competence of the most beautiful record in French rugby,” said Camou. Noves, who could yet add an 11th national title to his CV as Toulouse are in the semi-finals after beating Oyonnax on Saturday, saw off opposition from among others former France captains Raphael Ibanez and Fabien Galthie, both considerably younger than him, and reportedly England’s 2003 World Cup winning coach Clive Woodward. In all the federation selected a short list of eight names from the original 66 candidates. Seven members of the federation including Camou and former national coach Jean-Claude Skrela as well as the eminence grise of French rugby former dashing centre and team manager Jo Maso held two hour interviews with each of the octet in a Paris hotel. Noves won after a secret ballot at the French Rugby Federation (FFR) headquarters on Friday which was the first time this mode of selection was used. 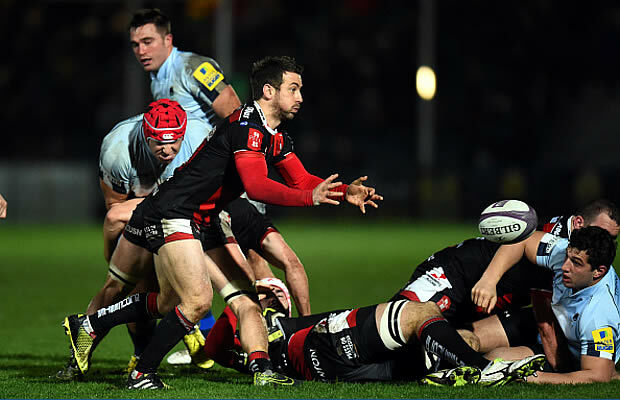 Saint-Andre, who replaced the much-maligned Marc Lievremont in 2011 after he had against all expectation guided France to the World Cup final and a narrow loss to hosts New Zealand, has failed to replicate the success he enjoyed at English club Sale and then at French giants Toulon. However, there is no question of Noves intervening during the spell leading up to the World Cup in England in September and October. “Guy Noves will remain silent so as to allow the French squad to work in the calmest atmosphere before and during the main objective for this year the World Cup,” the federation said in the statement. Noves, who during his time as Toulouse head coach was not afraid to make scathing remarks about the national team and the federation, wished the players and the coaches the best for the tournament which they approach with hopes not very high of winning their first ever Webb Ellis trophy. “I am the leading supporter of the France national side and I wish with all my heart that they have a great World Cup,” said Noves.